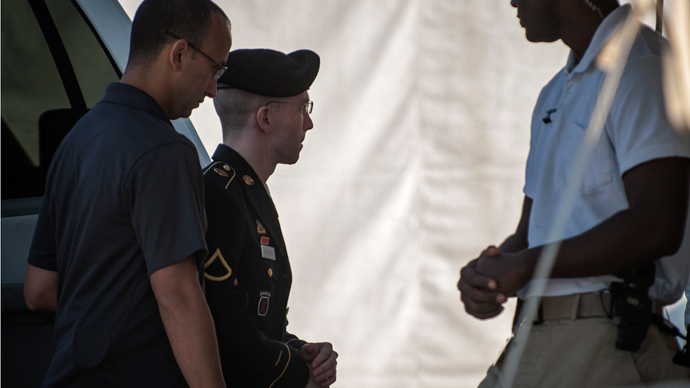 Bradley Manning personally delivered a statement as his trial, which could see him convicted for up to 90 years in prison, nears its end. He defended leaking 700,000 US diplomatic cables as an act of conscience and apologized for the damage he caused. The 25-year-old, who has already been convicted on 20 charges of espionage and theft, has not made a statement since a pre-trial hearing back in February. Manning spoke for a brief two minutes, first apologizing to the court and acknowledging that by leaking the information to WikiLeaks he risked US security. “First, your honor, I want to start off with an apology,” he said. “I’m sorry that my actions hurt people and I’m sorry that it hurt the United States. I understood what I was doing and the decision that I made. I’m sorry for the unintended consequences of my actions...When I made these decisions I believed I was going to help people, not hurt people." WikiLeaks, the anti-secrecy group to which Manning leaked the cables, battlefield reports and a combat video, issued a statement Wednesday in response to Manning’s statement. 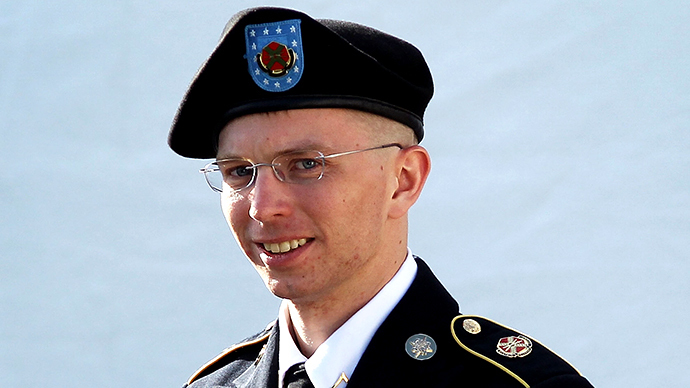 “The only currency this military court will take is Bradley Manning’s humiliation,” it read. “In light of this, Mr. Manning’s forced decision to apologize to the US government in the hope of shaving a decade or more off of his sentence must be regarded with compassion and understanding. “Mr. Manning’s apology is a statement extorted from him under the overbearing weight of the US military justice system. It took three years and millions of dollars to extract two minutes of tactical remorse from this brave soldier,” the statement continued. During the sentencing hearing, which decides the length of time the former intelligence analyst will spend behind bars, Manning had a choice of what type of statement he could have made. He was allowed to either testify as a witness, make an unsworn statement (his own version of the facts of his case that cannot be cross-examined) or a sworn statement, the likeliest to be challenged by the prosecutors. MANNING: "When I made these decisions I believed I was going to help people, not hurt people." MANNING: "The last few years have been a learning experience." Said he should have worked more "inside the system"
Throughout the sentencing hearings, Manning’s defense team have focused on their client’s psychological instability and gender identity confusion at the time of the leaks in 2010. A psychologist who spent time with Manning during his stint in Iraq testified earlier this week that the gay soldier struggled in a “hyper-masculine environment”. 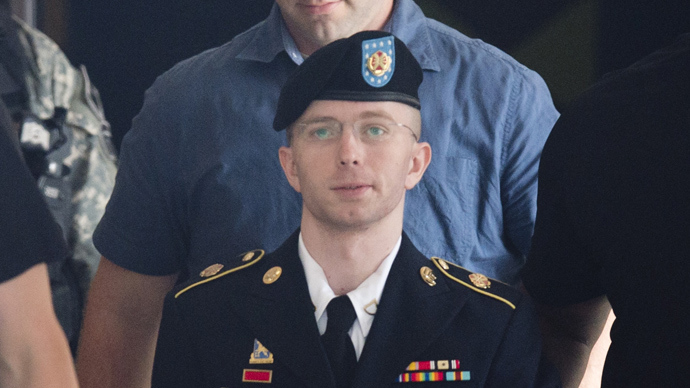 Manning’s lawyers have argued that their client, who had already been in counseling over a range of minor issues, was allowed to access classified data while his mental state deteriorated. The private previously said that he had become disillusioned with the “capturing and killing” that dominated the US war on the ground, which led him to hack into US diplomatic communications network, and extract the classified cables, before passing them onto Julian Assange’s Wikileaks website, which then made them public. Dr. Moulton said #Manning "was in an environment that really precluded him from talking about these desires," referring to gender issues. While the cables did not contain the most confidential data exchanged by US officials, prosecutors say that the embarrassing revelations had a “chilling” effect on Washington’s relations with the rest of the world. 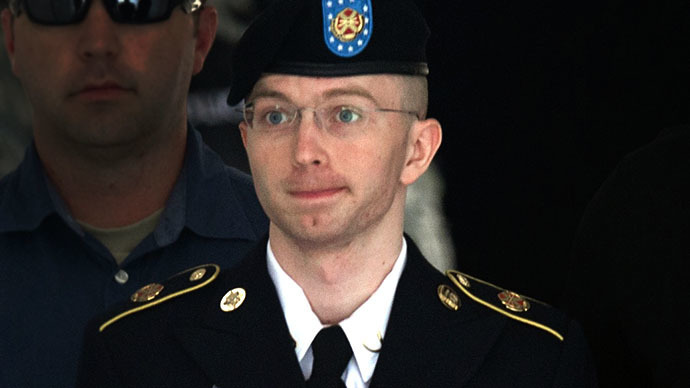 Manning was arrested in May 2010, and presiding Judge Lind has reduced his sentence by 112 days for the harsh treatment meted out upon his detention. 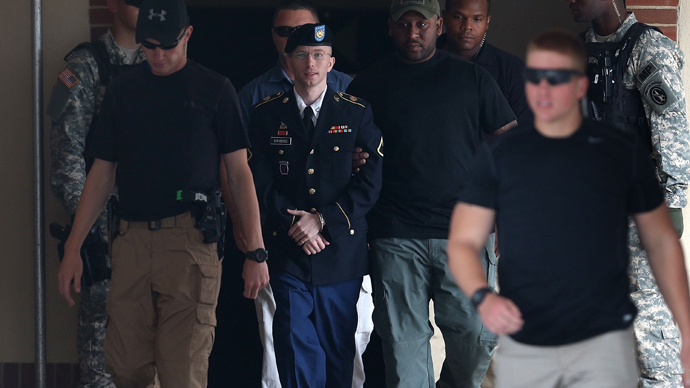 Bradley Manning is entitled to appeal against any verdict handed to him by the court-martial in the Army Court of Criminal Appeal within six months.